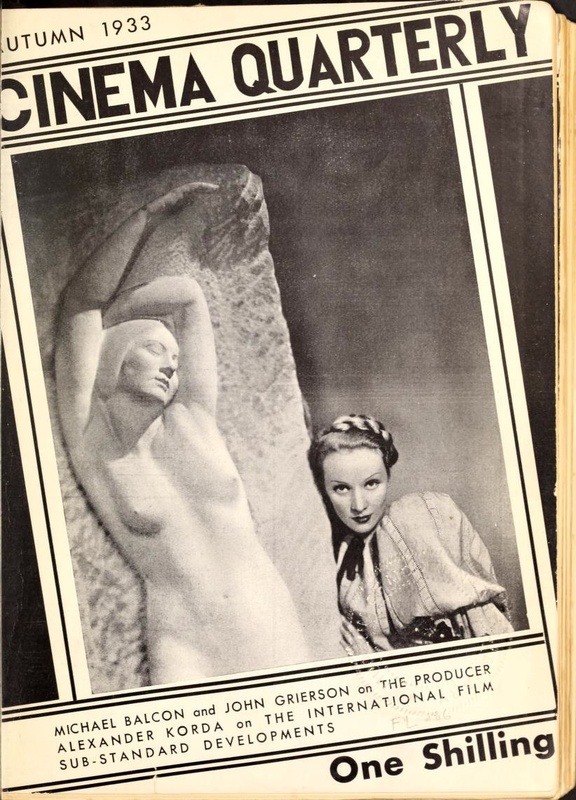 Cinema Quarterly was a monthly film magazine published out of Edinburgh, Scotland between 1932-1935. Featuring regular contributions from John Grierson, Basil Wright, and Alberto Cavalcanti, the magazine became a critical centre for the emerging British Documentary movement. Some of Grierson’s defining pieces on Documentary cinema first appeared within these pages, championing and defining ‘Documentary, or the creative treatment of actuality’ as a ‘new art.’ Forsyth Hardy would serve as review editor and Paul Rotha as London correspondent. In later years, the magazine would increasingly include contributions from noted literary figures, including Graham Greene, Aldous Huxley, T.S. Eliot and Somerset Maugham. 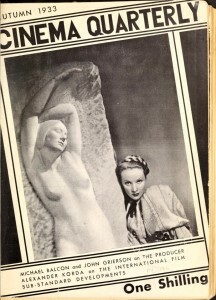 The magazine was renamed World Film News and Television Progress in 1936. After changing its name for three issues to SEE: World Film News, the magazine ceased publication at the end of 1938.